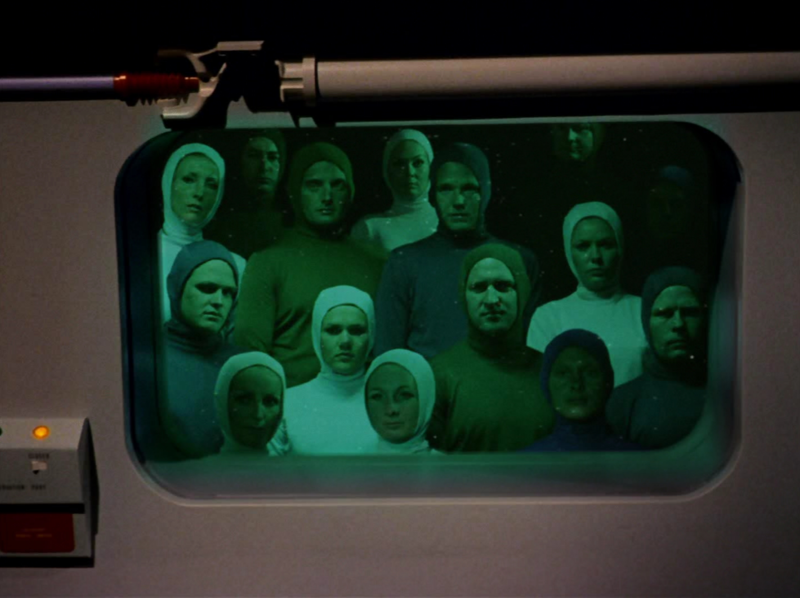 - Why is sickbay on red alert on the fake Enterprise when Kirk first gets there as he's calling for people in the teaser? - This episode establishes that there are 430 people aboard the Enterprise at this time. - Kirk on an empty Enterprise. - Spock negotiating with the Gideon bureaucrat. - Scotty being ordered to leave, angry at his technical skills being insulted and mumbling as he left. - Scotty's reaction to Spock calling from "the bridge of the Enterprise." On yet another planet with aliens that look exactly like humans, Kirk is asked to be a delegation of one to negotiate the admittance of an isolationist culture into the Federation whereupon Kirk is abducted and placed into an identical copy of the Enterprise's interior. 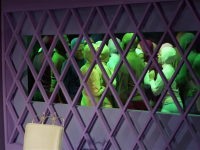 Inside there is nobody except for a girl who the aliens somehow expect Kirk to instantly fall for so that he'll forget everything else about his life and commit to spending the rest of his days on Gideon with her. As idiotic as it is already for the aliens to expect Kirk to just drop everything and fall for some random girl he just met shortly after facing the possibility that his entire crew has fallen victim to some terrible accident or attack, the reason why they've hatched this scheme is even more stupid: they want to take diseases he's a carrier for so they can commit germ warfare against their own people as a means to solving their overpopulation problem. Seriously, that's the premise the episode expects us to swallow. Setting aside the already pesky logical problem of how the Gideons even acquired Kirk's medical history to begin with before specifically requesting that the Federation dispatch Kirk and only Kirk to their planet, their whole motivation reeks of painfully faulty logic. Gideon is depicted as being so overpopulated that it's mostly a standing room-only planet. Kirk asks the obvious question of why not simply mandate the use of contraceptives. The Gideon bureaucrat responds mostly with an alien version of Catholicism, by saying that all life is sacred and contraceptives are morally wrong. He goes on to make the even more dubious claim that their culture's love of life is what's made them so disease-resistant and long-lived in the first place. Kirk then points out the blatant hypocrisy of a society that bans contraceptives but condones committing germ warfare against its own people, which is a thinly veiled satire of a society that bans abortion or contraceptives but condones the death penalty. All that social commentary might have been profound if the Gideons weren't such poor representations of socially conservative religious values. Since nobody is as stupid as the Gideons were during this episode, it's difficult to take any of the social commentary seriously. For instance, why didn't the Gideons just ask the Federation to help them find new planets to relocate to? Or alternatively since killing their own people to cut down on population numbers seems to satisfy their moral code, why not just directly mass execute a large swath of the population rather than hatch this overcomplicated, indirect germ warfare plan? The Gideons weren't the only ones suffering from faulty reasoning though. The plot itself has some real clunkers too. 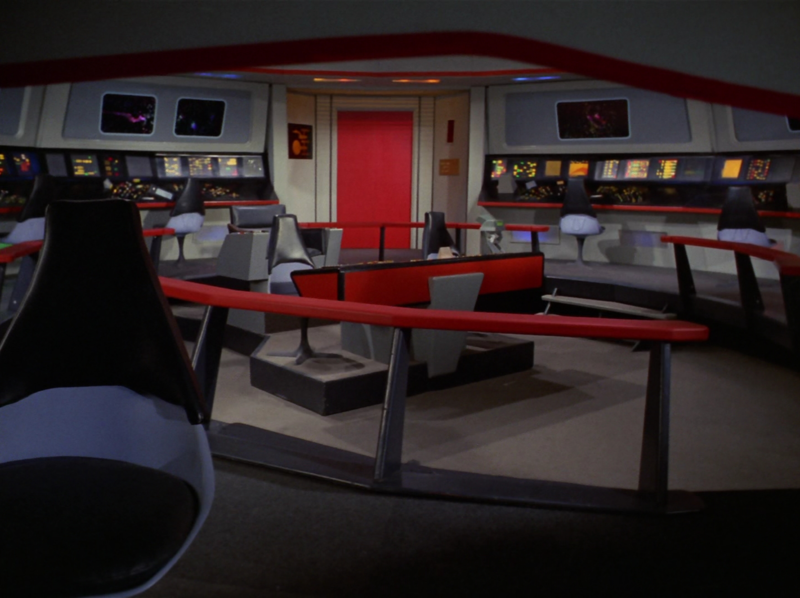 If space comes at such a premium on that planet, how were they able to build a giant, empty replica of the entire Enterprise interior? Where do they get all their food? How is waste managed? 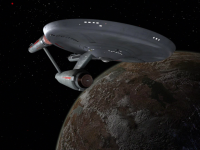 At one point Spock asks a Starfleet admiral for permission to beam down to Gideon to rescue Kirk. The admiral asks Spock if Kirk's life is in danger. 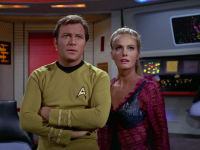 Spock doesn't reply as if to concede that Kirk's life probably isn't in danger. Huh? Kirk is being held against his will! Of course his life is in danger! Later on when Spock beamed down to Gideon he was easily able to order the Enterprise to beam the landing party up with his communicator. So why didn't Kirk bring a communicator with him in the first place when he originally beamed down to Gideon? All things considered it's a terrible episode. That said there are a few nice moments interspersed with the prevailing badness. My favorite moment was Spock's line to the Gideon bureaucrat that "the wars between opposing planetary systems no longer prevail in our galaxy." Ah, Federation propaganda! 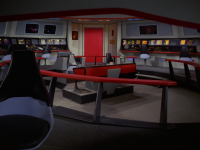 I also enjoyed how Kirk wandering through the empty Enterprise was intercut with his crew's efforts aboard the real Enterprise to rescue him. And finally the scene when Kirk is tipped off to the fact that the whole thing must be a sham due to the fact that he can hear sound coming from outside the ship which wouldn't happen in a real space ship was a nice touch of scientific accuracy. All in all though you wouldn't be missing much by skipping this episode. This episode is a pretty obvious critique of the Catholic Church's opposition to all "non-natural" birth control methods. Even if you buy the scenario set out in the episode, you have to wonder what all those people were eating for so long. What did they eat why each other! 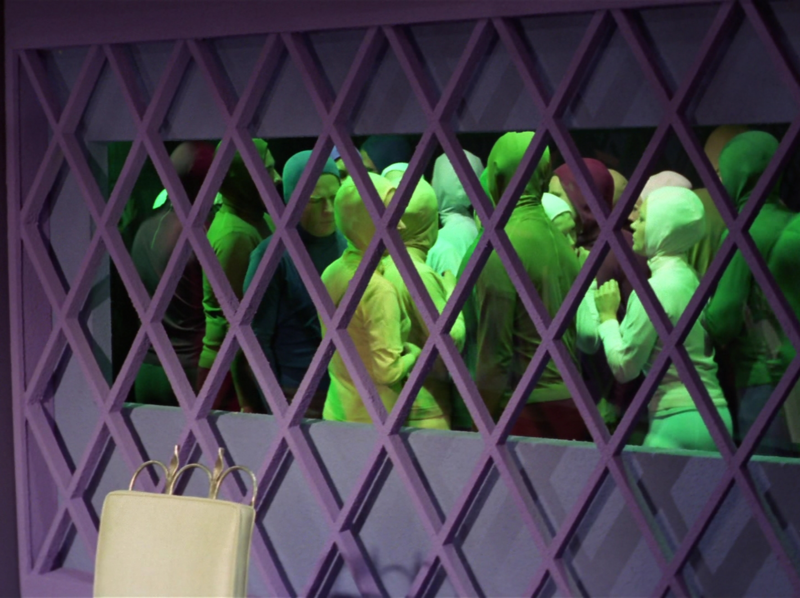 "Soylent green is people!" I know, I had to say it. Yes, this ep is a logic buster. Isn't a population limited by its food supply? Where do they get all of their food? - Not to mention a private place to procreate. Or, is that done while standing? This one had a great premise, but falls apart at the seams after about 15 minutes. Why was the "heartbeat" only audible for a few minutes? Since when are beaming coordinates said aloud? Aren't coordinates usually "sent"? There are way too many plot holes in this one. ‘2’. This episode is ‘filler’ from one end to the other with so many silly plot details there’s really not much point to discussing them. My favorite part is when Spock beams Kirk down after quickly rhyming off some numbers, not even properly double-checking his input, or establishing that the co-ordinates given are safe. I’m pretty sure he violated every transporter safety regulation in the book. 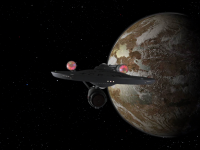 Then, instead of following up straight to the beam co-ordinates in a ‘hot’ rescue operation, he asks permission of Star Fleet, when he must know what the answer will be. I'm not even certain what the point of the fake ship was in the first place? 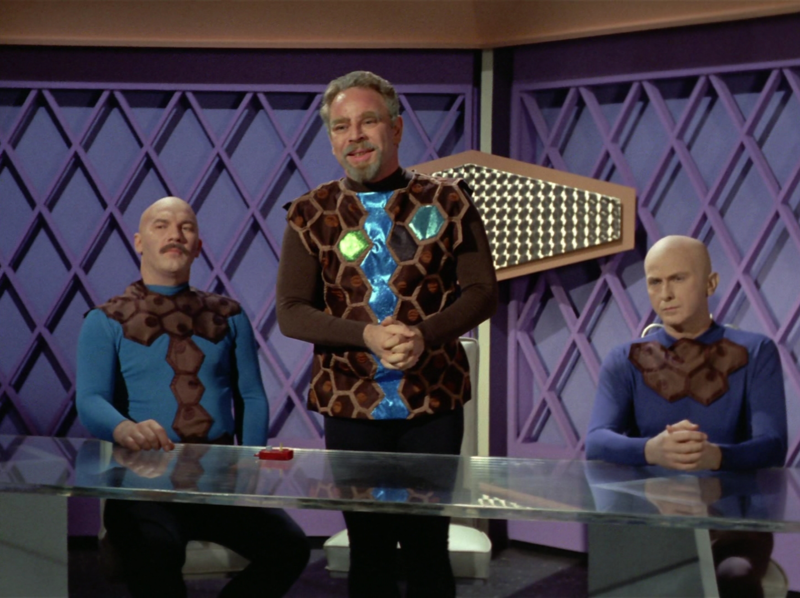 If they wanted Kirk to transmit a disease, there was no need for any of that nonsense - just beam him down to negotiations and let natural viral transmissions do the rest. A better plot might have been to have him arrested for unleashing a pandemic. DI thought this episode was awesome and that's mainly because I love the idea of a planet that wants to introduce sickness to a population. We often do not consider our viral roommates to be a welcome addition to our planet, but what if we're missing something? I also like the idea of a planet where loneliness is a commodity. 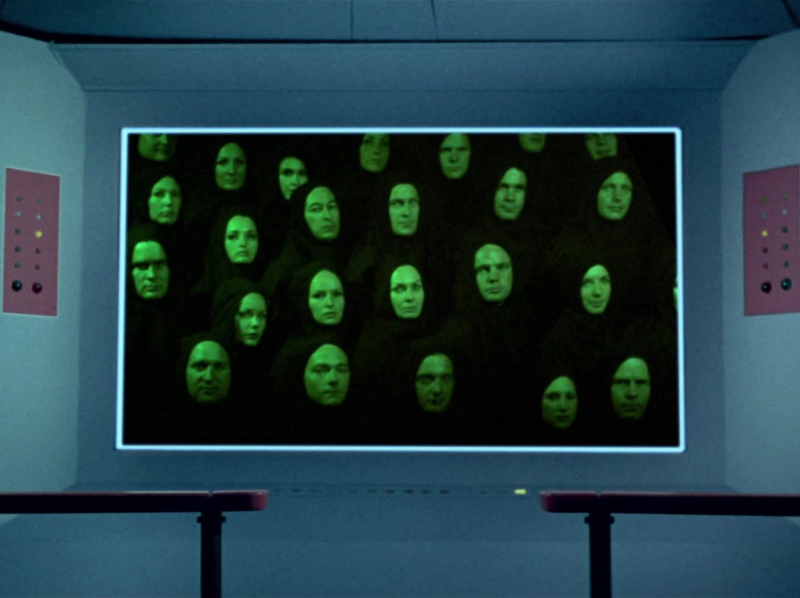 That requires some imagination and is a great example of the new social constructs that Star Trek can represent. I would also like to address the issues with the episodes above. 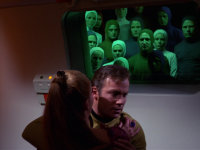 The need for romantic contact: Glen239 noted that they simply needed Kirk need only show up to infect the populace. Even though they didn't show it on screen, the disease was obviously a venereal disease. 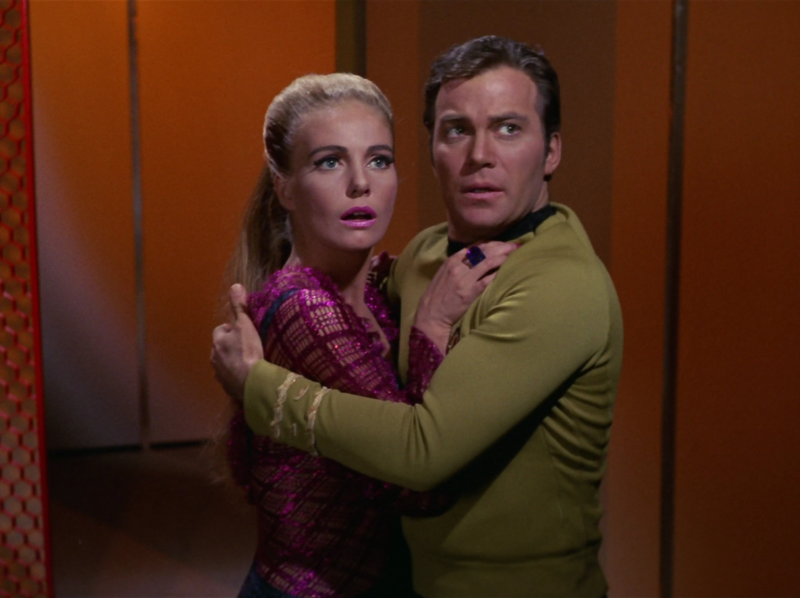 It is only logical that Kirk what is contracted one of these at this point in his career and that they would try to create an (off-screen) sexual connection with him. The fake Enterprise: yes there was a large amount of space devoted to the facade, but I have no problem believing that a government could secure special access to resources. 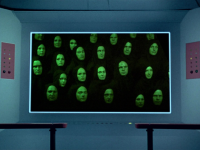 The aliens that look human: a misstep in my opinion. Why not just make them colonizers who are suddenly experiencing the inability to die? Hell they could have even been descendants of an earth group that was anti-contraceptive for any reason, and even if they weren't, you could point out that various factors fail to keep humans from reproducing beyond their means all the time. The coordinates: yes coordinates are usually transmitted, but for the sake of the audience they are spoken so that we could see that they're faked. I also liked Spock's diplomacy, the empty enterprise and Scotty's noise. My main issue with the episode is that the Gideon's randomly sent up an officer only to have him sent back only after having revealing a difference in trajectory. Also, you really only need 9 numerical to describe your place in space? Put some letters in there at least. And if you're only describing your place in space relative to the Enterprise within transporter range, why could the officer on Gideon do it? I got a couple problems and head canon doesn't solve everything but I like this ep. I do not see how Kirk pointing out that using germ warfare against your people is hypocritical if you think life is sacred, is a satire in any way of contraceptives and the death penalty. Are you equating germ warfare against your own people to executing people through due process? That is a heck of a leap. And by the way, even under your supposed satire, it would then be equally hypocritical to be in favor of contraceptives/abortion and against the death penalty. Utter nonsense, top-to-bottom. Just plain stupidity...! 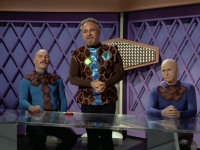 Other than the idiotic gymnastics of trying to get Kirk to infect Odona, This episode has way too much nonsense! Where'd they get the specs to make an exact duplicate of a Star Ship which other than actually flying, appears to be fully functional! Where'd they get the technicians and engineers to build such a thing?!? Surely the Gideons realized 'Paradise Lost' long before they got to this point of their civilization and would have taken some action long ago! The obvious bungling by the bureaucrats along with Spock is always hyper-irritating to me but I guess a necessary evil to carry a plot home.